I am Nerline Germain. The name is French. I am originally from Haiti, but I have been living in the US for over 16 years. I have been married since 2005, and I have one boy and one girl. I lived in NY for 7 years where I got a degree in Computer Operations. I blog 75% of my time. I have been natural for over one year now. 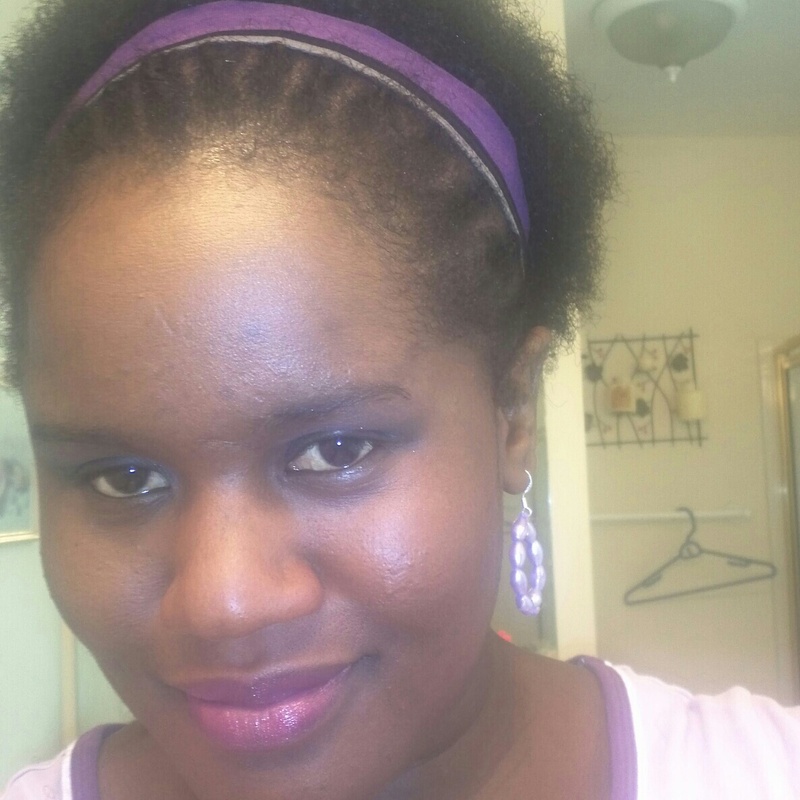 I have always wanted to go natural, but I was afraid that I would look weird, or people, especially my husband, would not accept me. I would go natural for nine months, then relax my hair again because I did not know what to do with it, how to style it, or how to take care of it. On August 2011, I found youtube and I started to take care of my relaxed hair. I became a youtube addict. I would sit in front of the computer for hours watching videos on how to get long hair. I really got inspired. I have decided to go natural after a relaxer almost burned my scalp. I was taking multivitamins at the time, which made my hair very strong. I tried the regular relaxer on my hair in October of 2011, but it did not take. Then I tried a relaxer for coarse hair. It fried my hair and I lost all the hair in the middle of my head. That’s when I made the decision never to relax my hair again. So on June 25th, 2012, I did the big chop. The relaxer was fine. The problem was with my hair. I wash my hair every Tuesday. I do a pre-poo treatment with coconut oil, wash it with a moisturizing shampoo(TREsemme), deep condition it with a homemade deep conditioner (avocado, honey, banana, EVOO). I rinse my hair out, wash it again with my regular conditioner (TREsemme moisture rich conditioner), and proceed to moisturizing (Scurl "No Drip" activator moisturizer) and sealing my hair ( My Shea butter mix). Are you happy with your progress so far? I am beyond happy now. My hair is at the length that it was before the big chop. My only problem is that I keep braiding my hair and that has damaged my edges a little. My signature style is a bun. Being able to put my hair in a bun is a big accomplishment for me. The only way for me to stop touching my hair is protective styles. I get crochet and micro braids a lot, so these two styles help me keep my hands off my hair. When my hair is not braided I love to wear a silk scarf to protect it against my cotton pillow case. Waist length is my goal. Waist length when my hair is straightened, but mid-back length is okay, too. My hair tends to hate too much protein. I don’t understand why it happens, but it does. My hair becomes very fragile when I use protein a lot. Jamaican black castor oil and Scurl “No drip” activator moisturizer. I have fallen in love with honey and extra virgin olive oil lately. Being natural has taught me to be patient. See, my hair is still not the length that I want it to be, but I am sure that it will be further than where it is now next year.